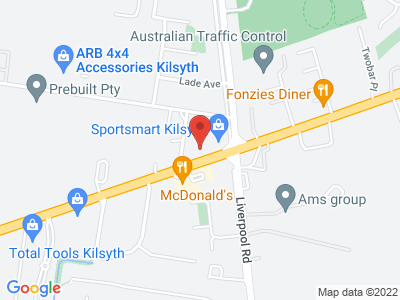 Come into our Kilsyth (formerly Ringwood) showroom and see how EmbroidMe can help you get your brand noticed and build your profile. Personalised apparel is an important part of your branding. It can help bring your team together or tell the rest of the world about your brand. The staff are knowledgeable and skilled, producing high quality products. Having not needed embroidery before, I was unsure of font sizing and colour, however, the team at Embroid Me had great suggestions. I'm very pleased with how the final product turned out. I would strongly recommend them. Great service and price. Friendly staff with quick turn around. Quality of the embroidery is above and beyond the competition. Highly recommended. Highly recommend! I have been getting my uniforms done at EmbroidMe Kilsyth for almost 5 years now and have had nothing but a wonderful experience with them. Their staff are friendly and very knowledgeable, and the quality of their work is fantastic! Highly recommended. Great friendly service and amazing products. Service was fantastic I gave them a design I had and they replied promptly and with professionalism. Had hoodies, shirts, beanies and stubby holders done for my business and was very with with there service. Fully Promoted Kilsyth (formerly Ringwood).